Fons isn't quite the right fit for me right now. How can I deactivate my account? We hate to see you go, but we know relationships can be difficult and sometimes the timing just isn't quite right. We always appreciate you taking the time to use Fons, and we will always welcome you back with open arms! If there is an issue, or if you have any questions please don't hesitate to contact us at [email protected]. We will do everything we can to help your business thrive. In order to deactivate your account you just need log in and then navigate to the "Account" tab. 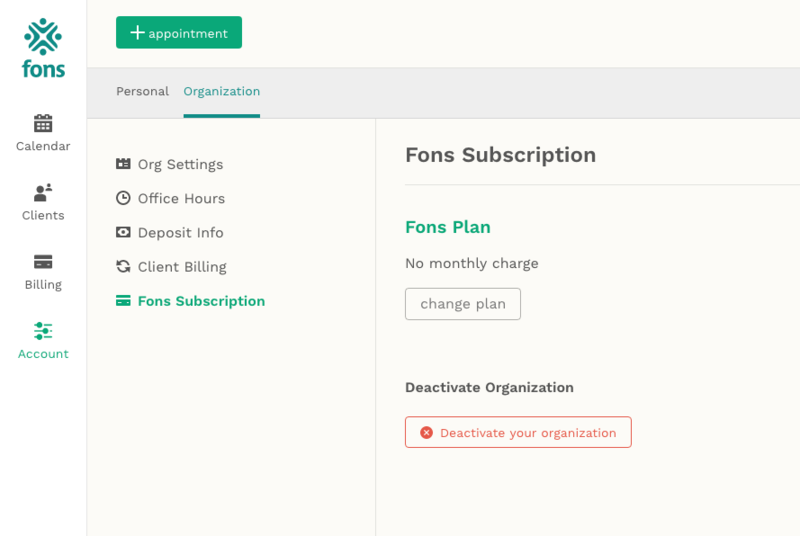 Then under "Organization" select "Fons Subscription", which will show you the red "Deactivate" button on the right. This will pull up a window for you to confirm that you would like to deactivate your Fons account. 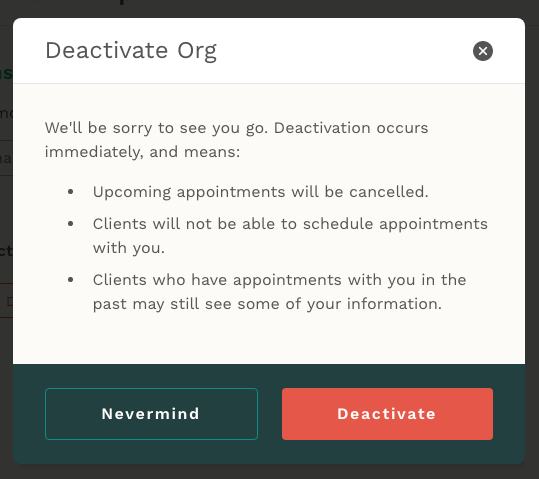 Select the red "Deactivate" button once you are sure that ABSOLUTELY CERTAIN that you are ready to deactivate as this action CANNOT BE UNDONE! !